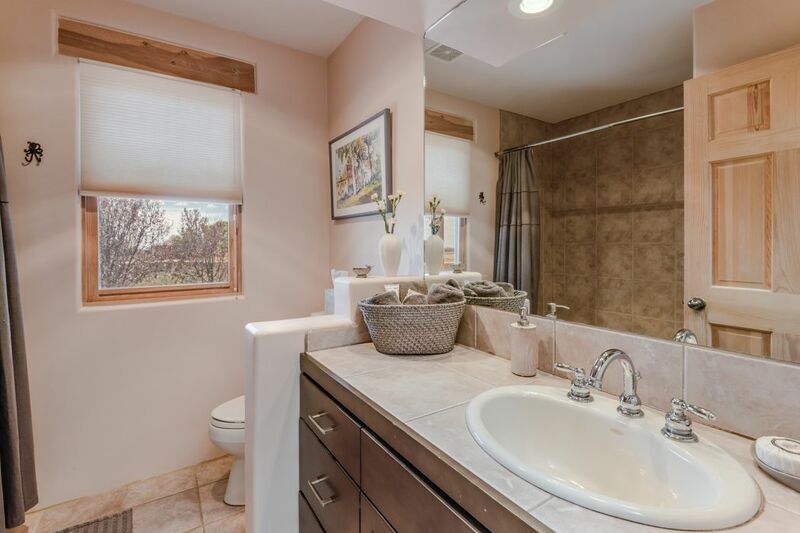 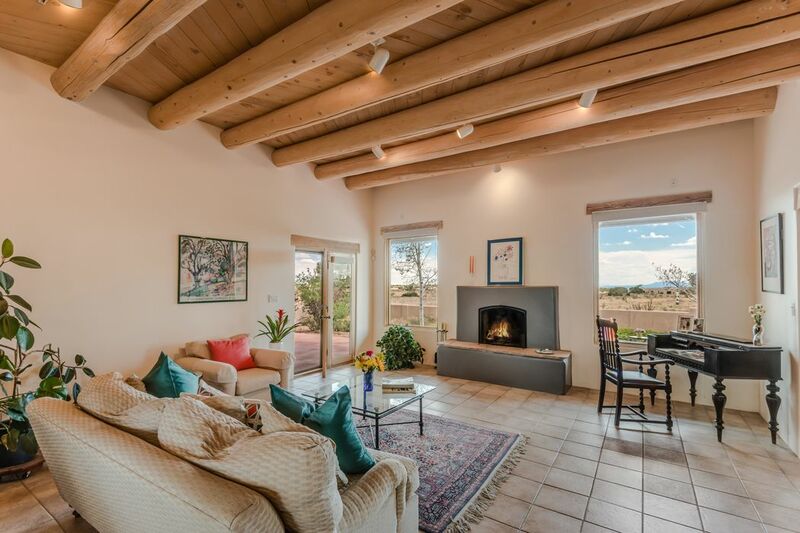 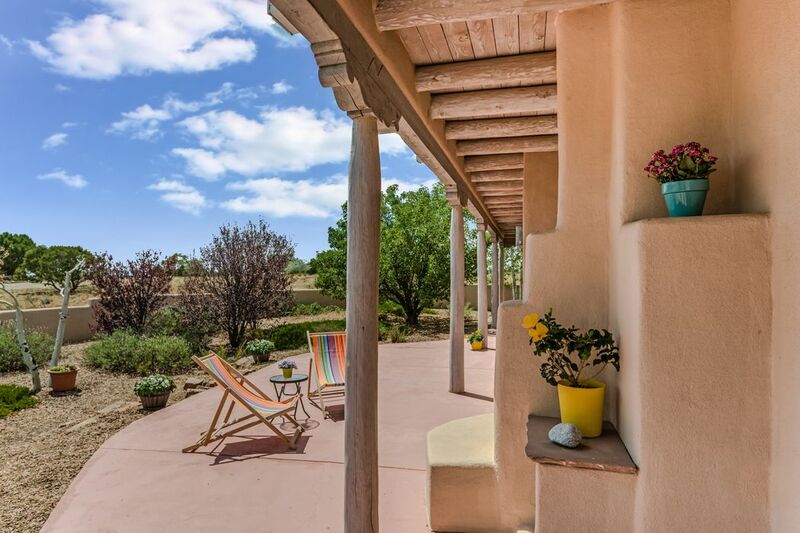 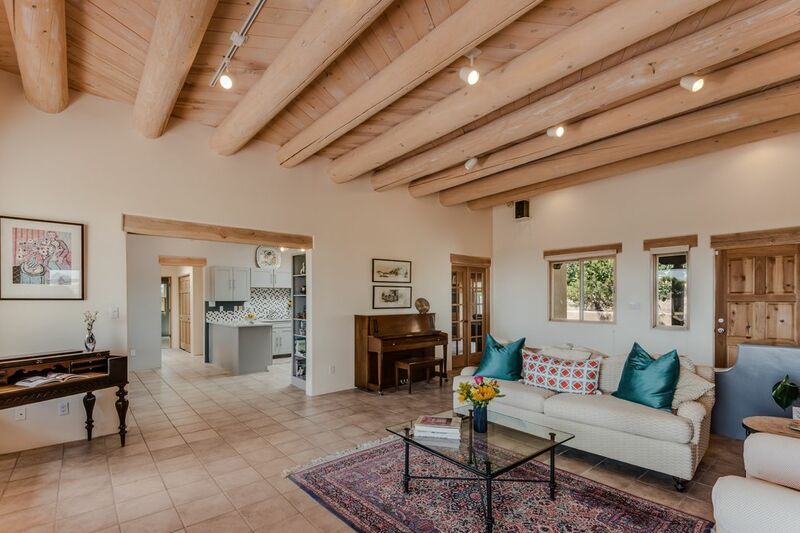 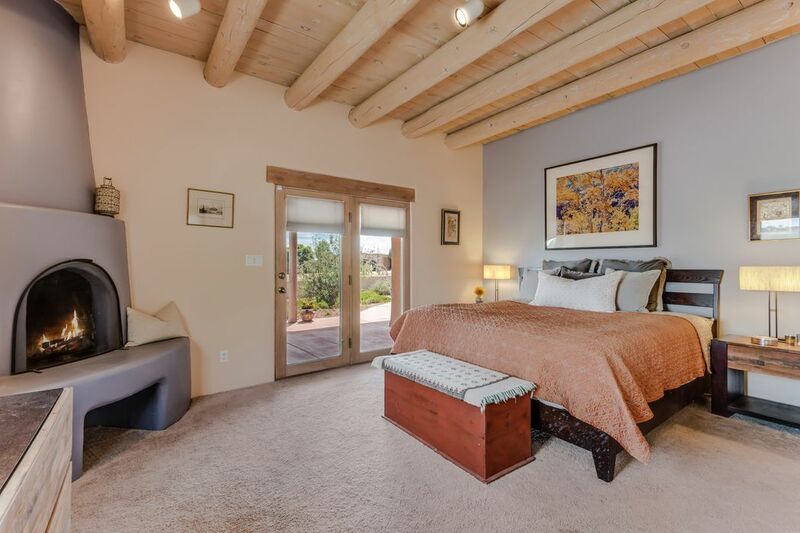 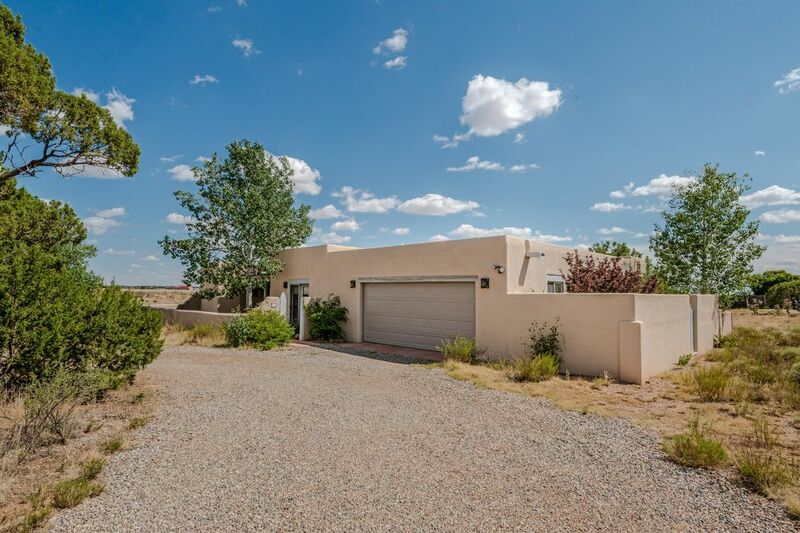 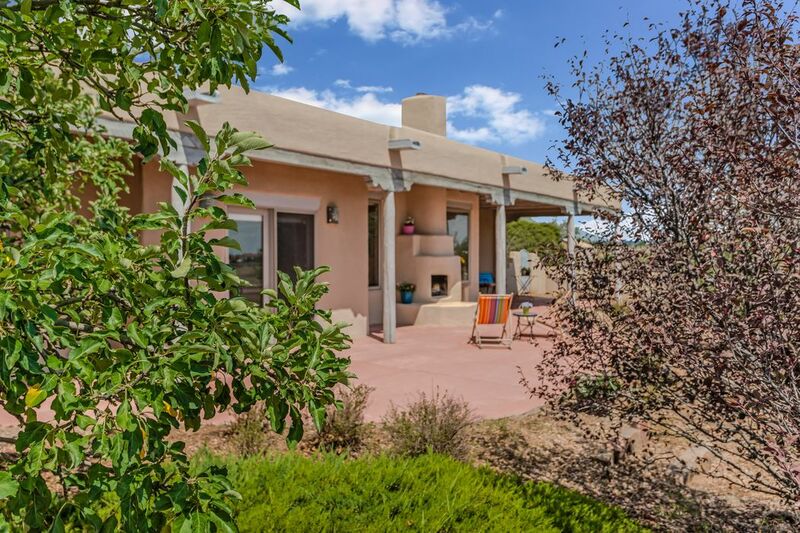 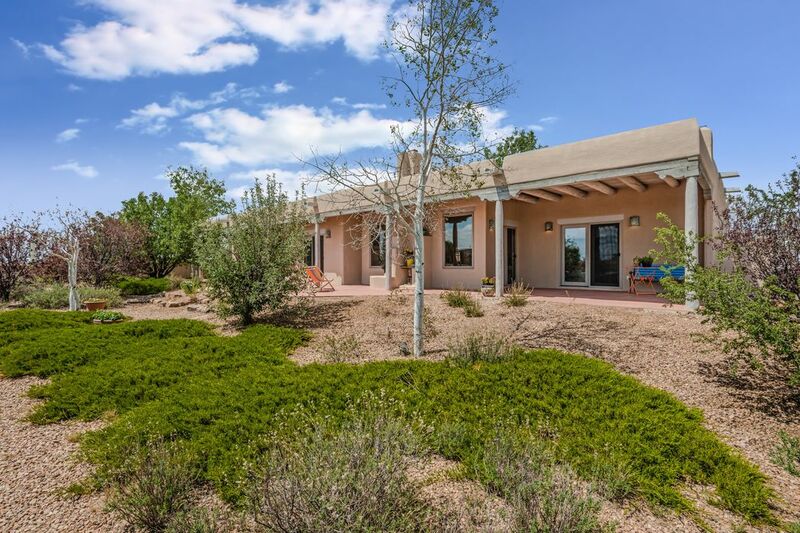 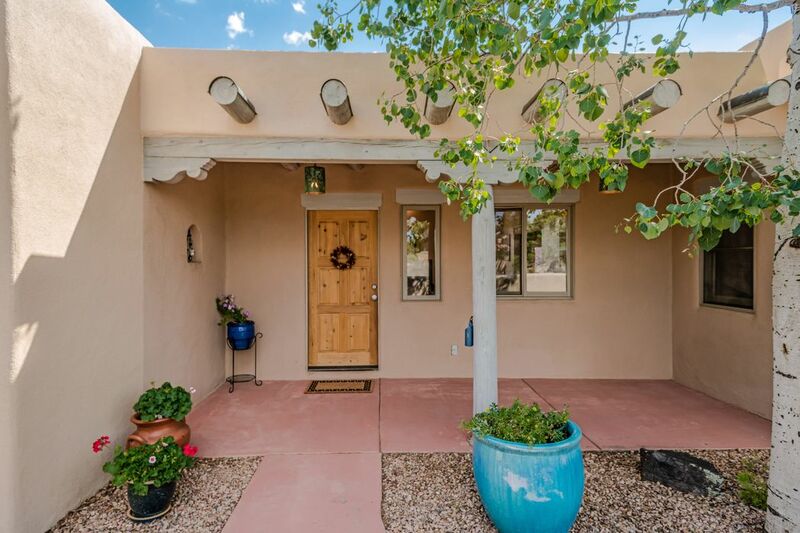 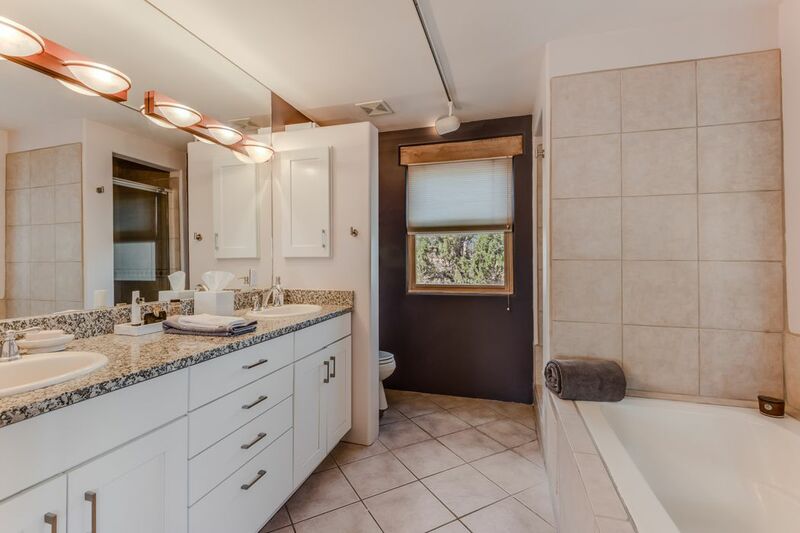 27 Condesa Rd , Santa Fe, NM 87508 | Sotheby's International Realty, Inc.
$405,000 2 Bedrooms2 Full Baths1,839 sq. 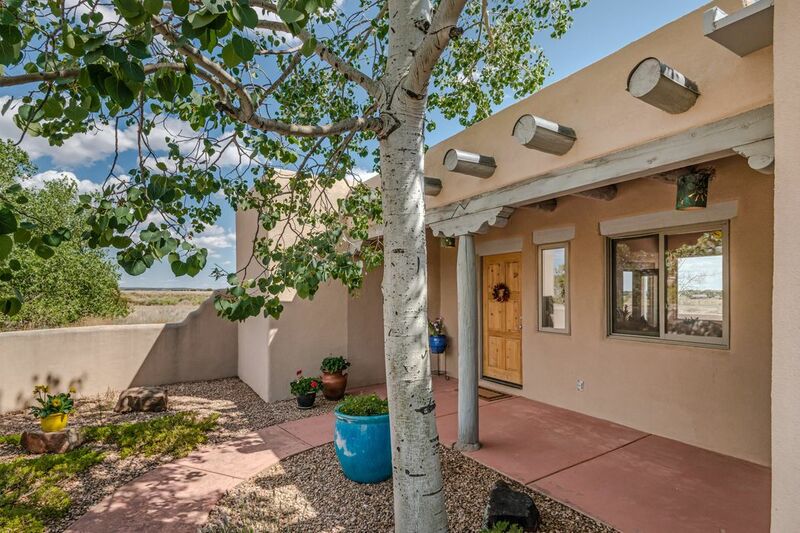 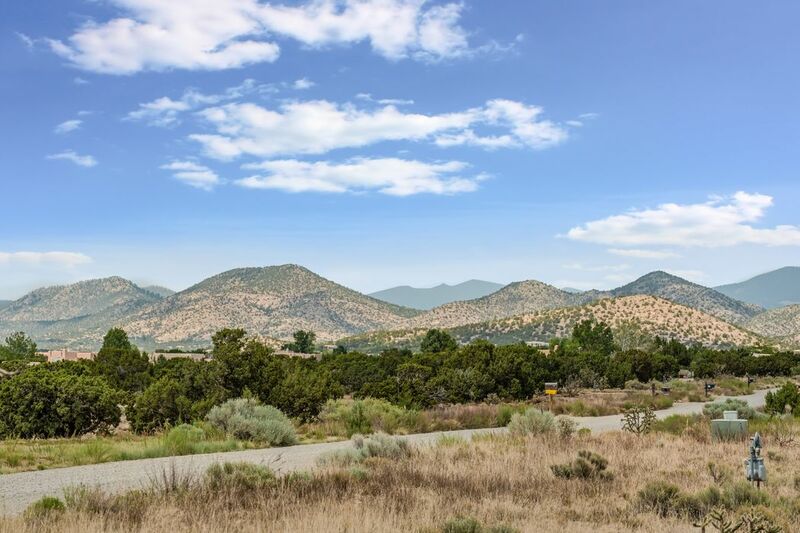 ft.
An Open Floor Plan and Ortiz Mountain Views abound from this two bedroom, two bath plus office home. 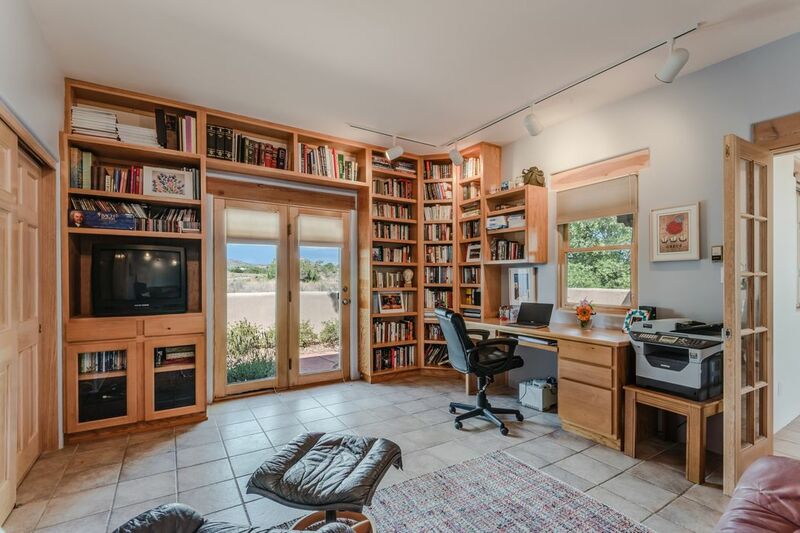 The private office has a custom built-in desk and shelving with it’s own private entrance from the front courtyard. 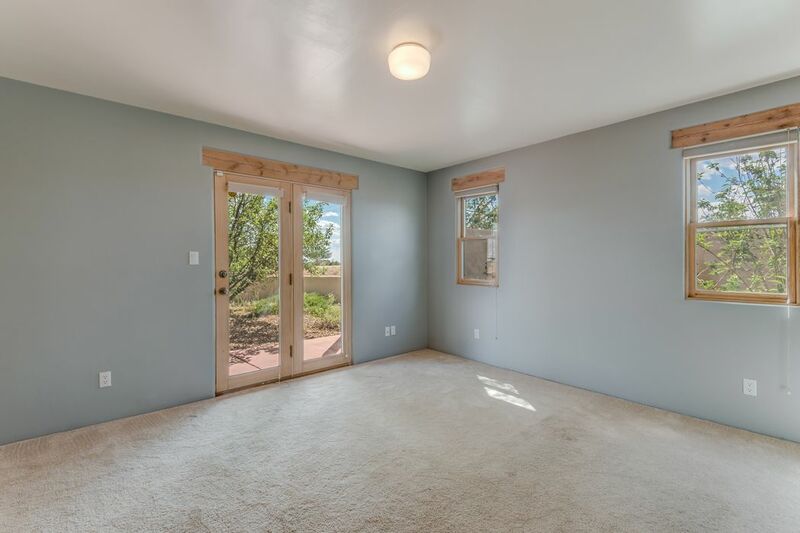 In fact every room of this home enjoys direct access to the outdoors! 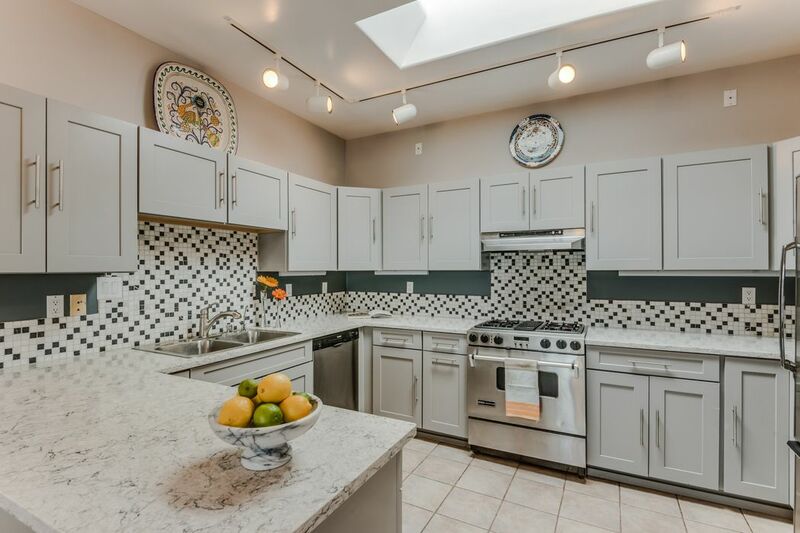 The Kitchen cabinets and counters have been recently remodeled and updated as have the Master Bathroom counter and cabinets. 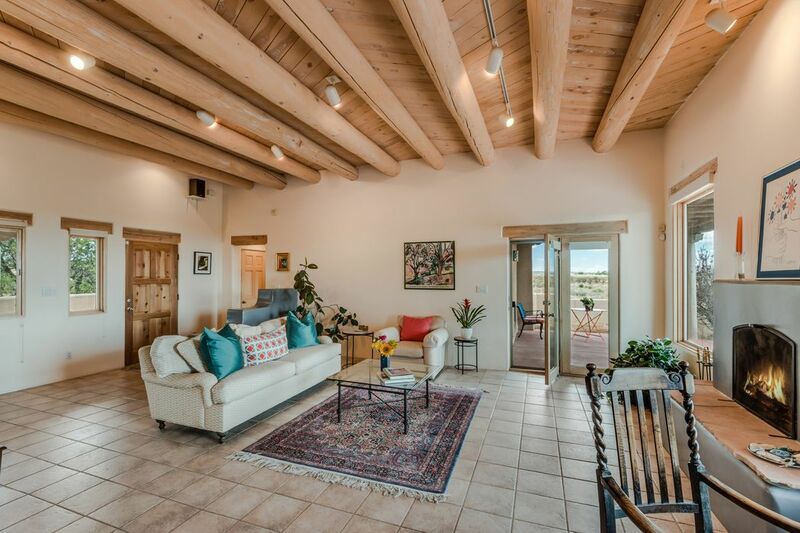 The Living Room features high ceilings with vigas and a central fireplace as it’s focal point with large windows on either side capturing spectacular views. 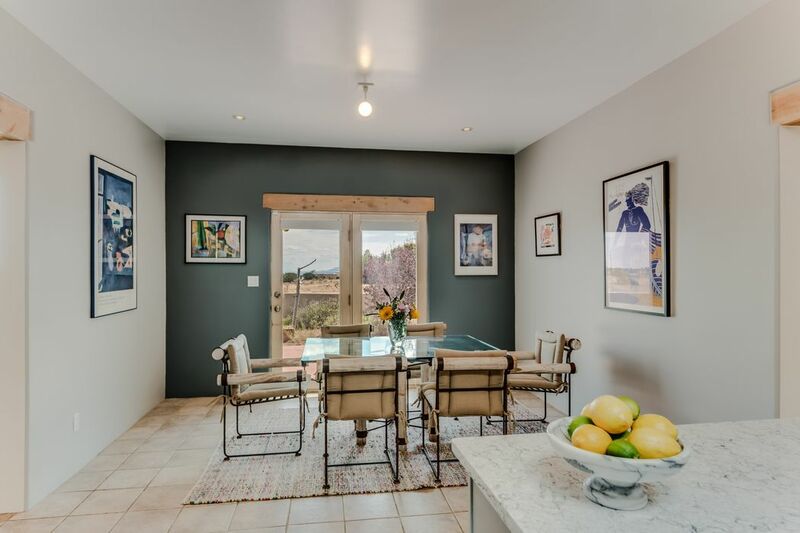 The adjacent Dining Room and Kitchen creates a perfect flow for entertaining both inside and outside. 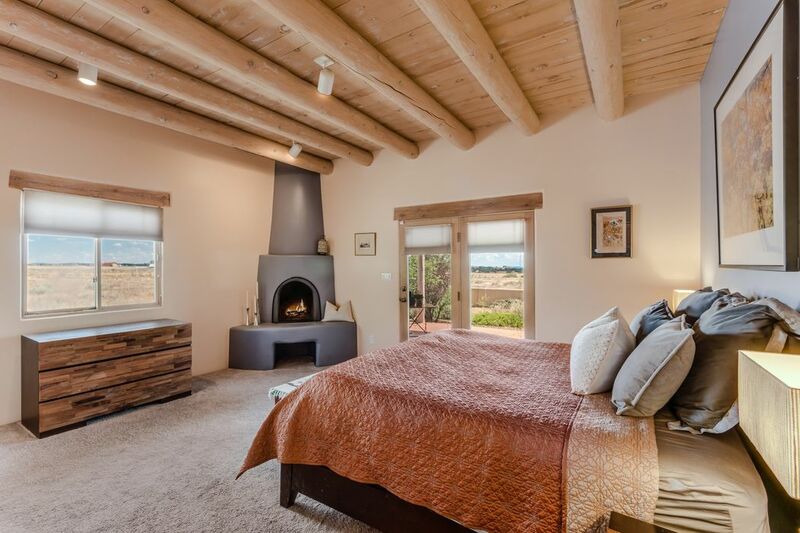 There is yet another fireplace in the Master Bedroom as well as a 3rd fireplace in the back courtyard. 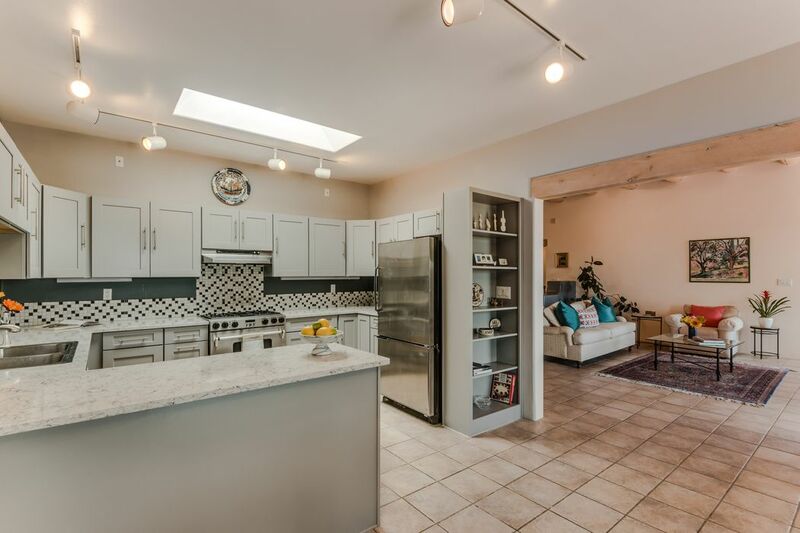 The roof received a GACO roof restoration in 2017 with a 3- year transferable warranty and skylight lenses were replaced at the same time. 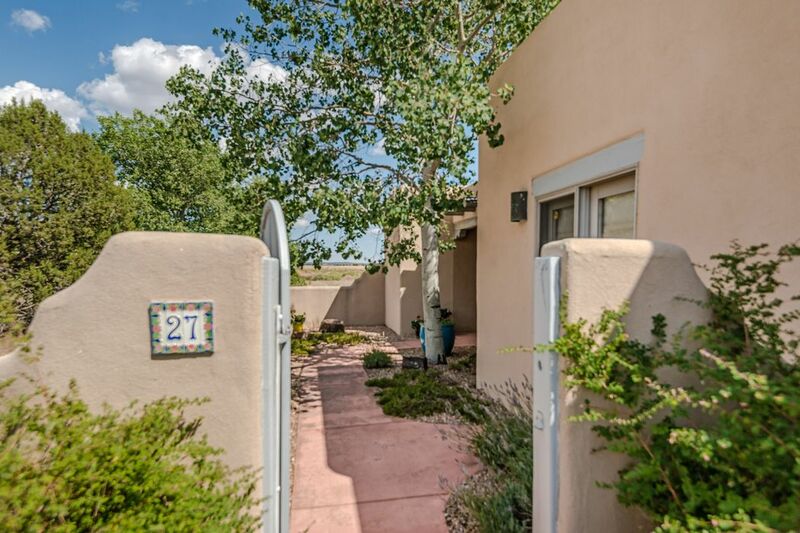 This is a charming and comfortable retreat in a very private setting and not to be missed!